123D Design is a desktop and iPad 3D modeler. Unlike other 3D programs, you don’t need a lot of experience to create high quality objects. It is for people who have always wanted to make cool 3D art but don’t have the skills to use complicated (and expensive) software. Created by Autodesk, you’ll be able to make 3D designs from scratch. This CAD program has some elements similar to those of other Autodesk software. Tools like edge tweaking, push, pull patterning and symmetry turn your projects into realistic looking models. There are also thousands of free 3D models on their website. Modeling is direct. Clicking the feature will make the tools available. Right click an object and you will see the Marking Menu. Useful tools are available there. The most important are at the circle. You can zoom and pan to get more details. You can switch perspectives, necessary when creating complex objects. It’s got a movable toolbar and a Feature Browser. Nodes of your model are displayed here. You can edit each node, making it similar to Autodesk Inventor. Users can hide/show annotation and origin planes. Sub features can be displayed or hidden with the Toggle Features icon. To hide the Feature Browser, click the Cross. Sketches can be used to produce solids, but they won’t be associative to it. 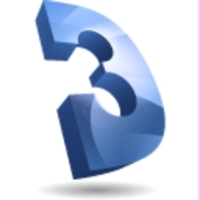 Autodesk 123D is just one of the 3D apps in the 123D family. The other products include 123D Make, which creates 3D models from 2D slices, Sculpt, a 3D modeler for iPad and Catch, a mobile app that creates 3D models from pictures. Each one is a standalone application.